We know support for continued EU membership is heavily concentrated among younger citizens with 60% under 30 who support REMAIN, compared with only 24% who support LEAVE. Among the Pre/Post-War generation 54% support LEAVE and 35% support STAY. We also know young people are less likely to vote with 70% highly likely to vote compared with 88% among the oldest generations. What we didn’t know is when you put the two together the outcome is very different from the widespread assumption that young Remain supporters are less likely to vote. David Cameron was out rallying young people to register to vote yesterday as a way of supporting the Remain campaign. Again assuming that because of Remain has more youth support and young people are less likely to vote, that fewer Remain supporters would vote. Contrary to this our findings show young people who want to Remain are also more likely to vote than those who want to Leave. 68% of young people who want Britain to continue its EU membership are very likely to vote, compared with only 57.1% of young people who want Britain to leave the EU. The same is true in reverse: among young people who are very unlikely to vote, 42.9% support Leave and 31.2% who support Remain. Based on the regional variations we published last week, we also speculated that those who support Leave were more likely to vote because that is the case in certain regions of the UK (most notably the West and East Midlands). However, these new findings also prove the speculation wrong. When we look at the older generations there is much less difference between supporters of the two campaigns. 71% of older people who support Remain are very likely to vote compared with 70% of those who support Leave. This is unexpected good news for the Remain campaign and something David Cameron might want to take into account when rallying young people to vote. While a high turnout of young people would be great from every perspective, it may not bring the expected result on the day. 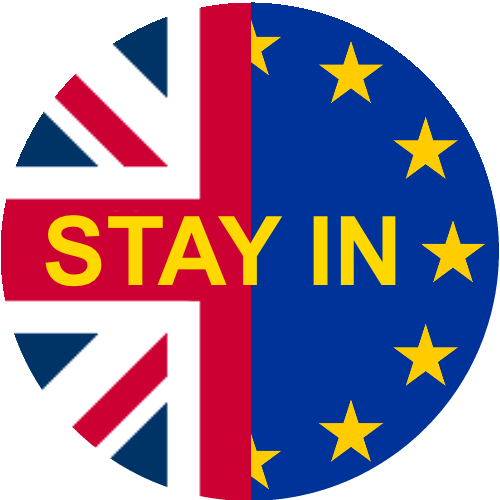 The ‘Should we stay or should we go: Young People and the EU Referendum’ project is a study of young people’s attitudes towards and engagement with the EU referendum campaign. Using data from a dedicated UK-wide survey of under 30s and a wide range of publicly available data and academic research we will address four key themes.